Bring a new level of efficiency to teams of all sizes at companies across all industries with powerful automation and sophisticated response tools. Give your team quick access the data they need to manage and respond to disputes without having to share high-level payment account credentials with them. 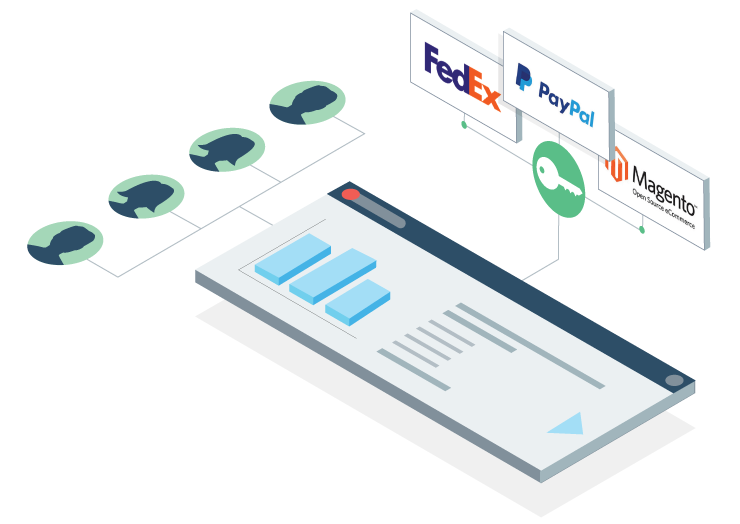 Setting up commerce integrations within the Chargeback App provides your team with secure access to information like order and transaction details via API. 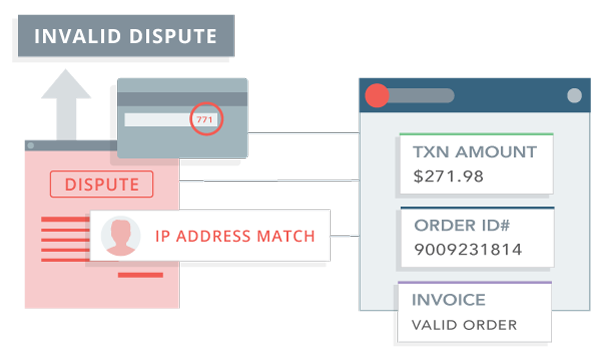 The Chargeback App ensures that transactions link with orders, invoices, customers, and more. The system automatically matches up records that tie together, so you don’t have to. We’ll link inquiries to their corresponding alerts, and chargebacks as they occur, giving you a clear history of what’s happened over the lifecycle of any given dispute. 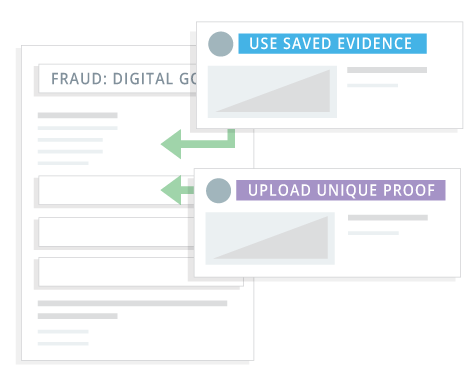 The Chargeback App automatically selects the appropriate compelling evidence for any given dispute based on your industry, the reason code, and any specific modifiers that may be relevant. From consumer brands to hospitality, the logic behind crafting the appropriate response is already programmed into the app. 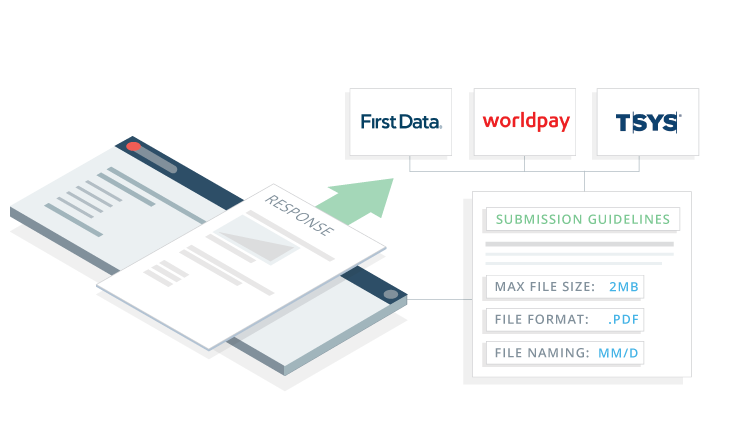 Automated uploads and submission of completed responses ensure your processor receives the proper response document, in the correct format, at the right time. Which saves analysts the hassle of identifying and following specific but variable procedures when submitting responses to processors. 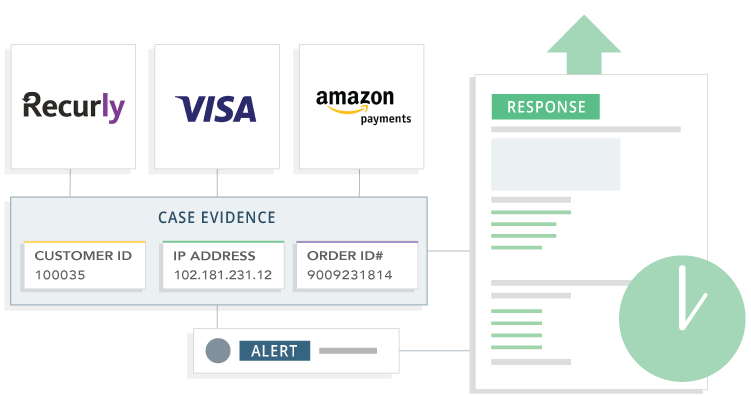 Early warning notifications for disputes and real-time processor inquiries dramatically reduce the amount of disputes that result in chargebacks. Get a timely edge on validating the accuracy and legitimacy of a given dispute. When you stop disputes from becoming chargebacks, you save your company time, money, and effort in the long-run. Ready to save time and reduce manual labor? Combine extensive knowledge with powerful automation to save time and effort with the Chargeback App. See how companies like Nike, Fanduel, and Turo use the app to save time and manual labor during a demo with one of our dispute experts.